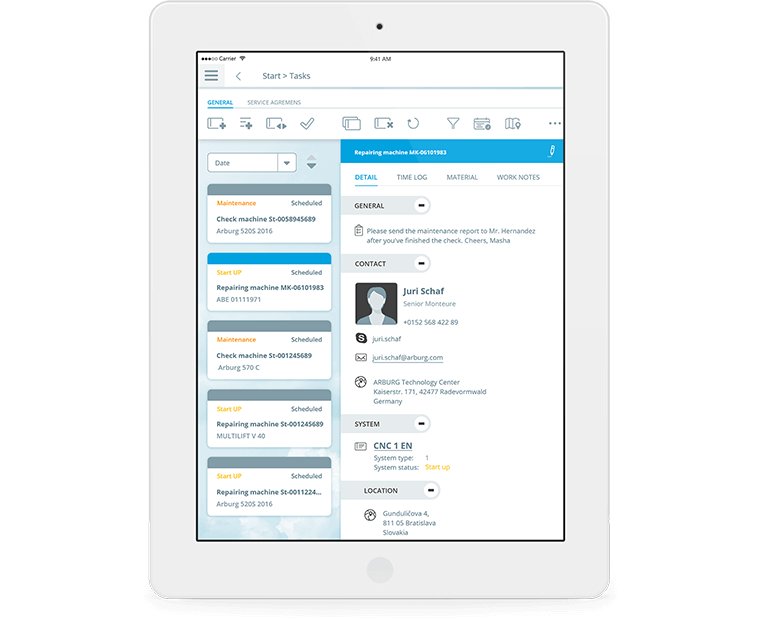 Revolutionize your service processing – with SCS planning. Increase the efficiency of your service operations by means of automated planning and convenient data acquisition. Increase Efficiency. Reduce Administrative Costs. Automatic determination of the most suitable field service engineers in terms of their availability and qualifications. Intuitive graphical planning tool enables you to create the optimal deployment plan easily. 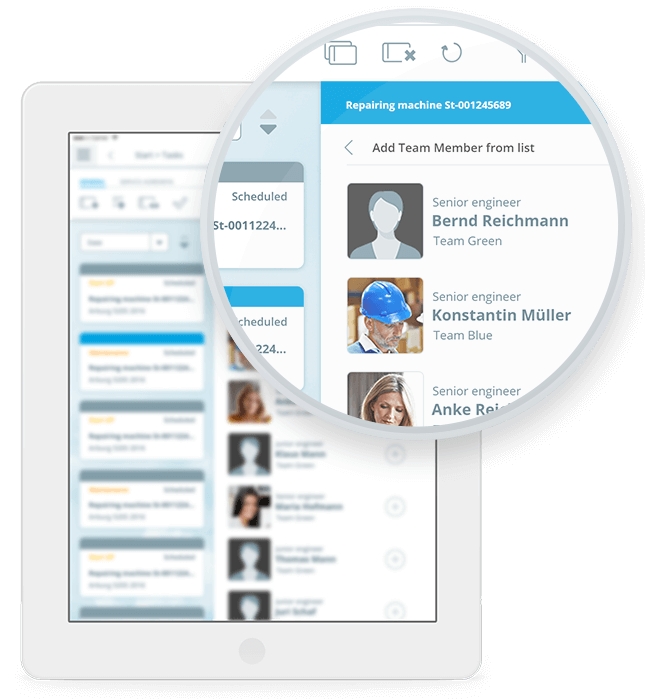 Smart field service support: SCS app provides an overview of tickets and records on-site deployment data. With or without an Internet connection. The Revolution in Operational Service. Rapid Assistance for Your Customers. If a machine malfunctions at your customer’s site, or if SCS analytics determines the potential imminent failure of a component, a service ticket is created automatically in SCS planning. Based on the machine data that is stored, the system integrates the necessary steps for eliminating the fault directly in the ticket. Depending on the type of installation affected and the fault, SCS planning automatically determines the most suitable available technician and proposes this to the planner. 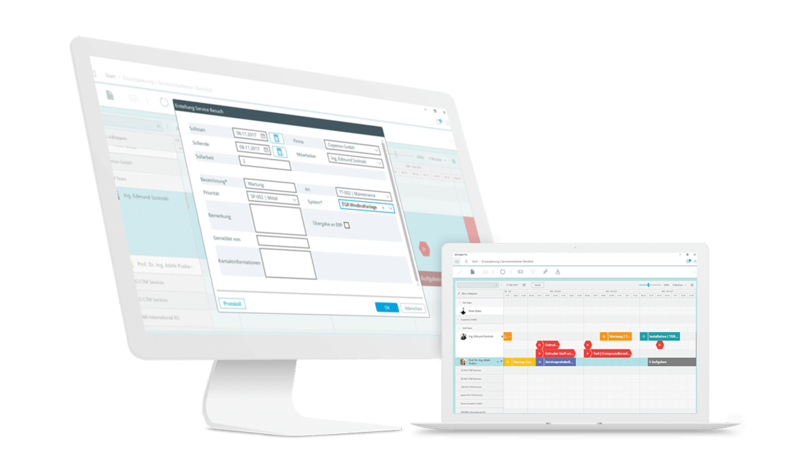 Intuitive Deployment Planning for your Planners. 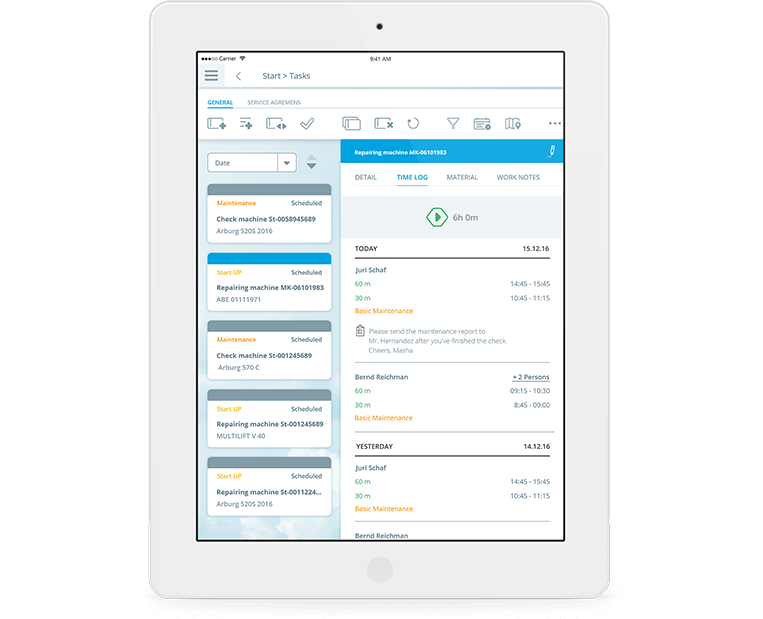 With easy to use GANTT charts, your planners always have an overview of all pending service operations. This facilitates controlling and confirming the automated proposals by the system for scheduling resources. If necessary, service tickets can also be created or processed directly in the planning tool. All Deployment Information is Available at any Time. Once the service deployment has been released, all relevant data is automatically sent to the respective technician's SCS app. The technician can quickly and intuitively access his or her current worklist, including all necessary information. The SCS apps for iOS, Android, and Windows 10 can be used both online and offline. This ensures that all important data can be accessed at all times – even at locations where there is no network coverage. As soon Internet access is available again, the app automatically synchronizes all data that occurred in the meantime. 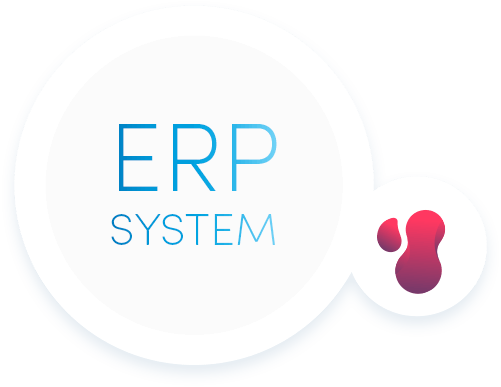 A good connection to the ERP system. Thanks to full integration and automated synchronization. With its universal interface, SCS can easily be integrated into your existing ERP solution. Information that is entered in SCS is automatically synchronized with your system in this way. In doing so, SCS can work together with all common ERP solutions such as APplus or SAP. Simple, Easy, Uncomplicated. The SCS app. 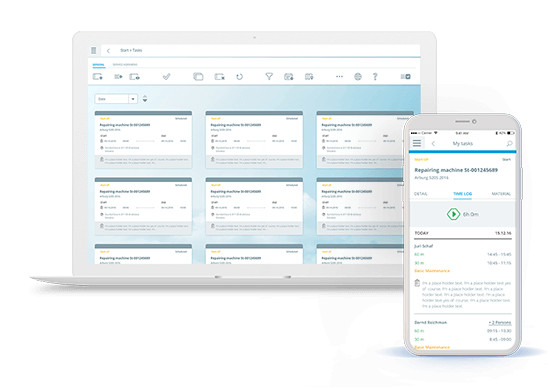 The modern interface in SCS planning provides an overview of all field service technicians as well as up-to-date service tickets. 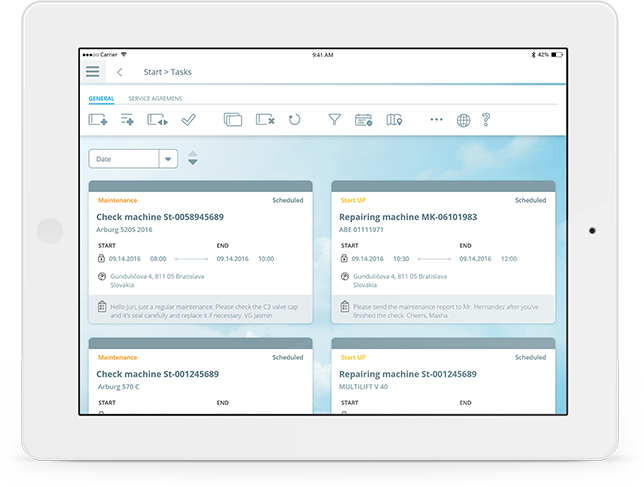 This enables your planners to check specific service tickets quickly, to schedule maintenance dates, and to forward completed tasks for billing immediately. 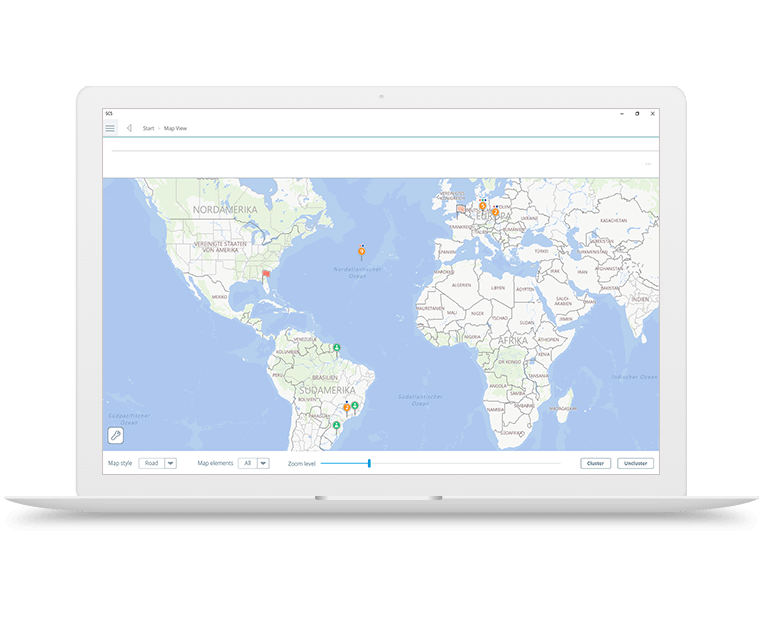 The integrated map view assists your planners with taking factors such as travel expenses and traveling times into consideration, thus creating work assignments and deployment plans as efficiently and cost-effectively as possible. 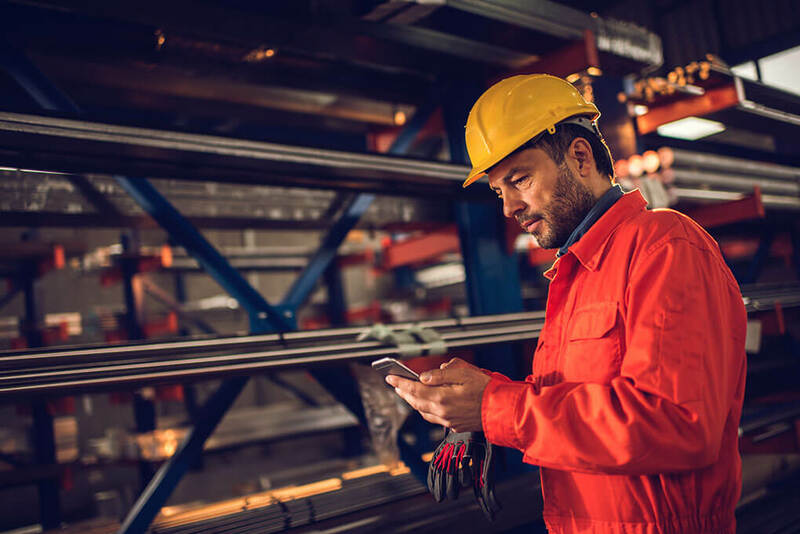 The app supports technicians on site with all relevant information such as contacts on site, machine records, and the history of previous work and manuals. This enables them to carry out the service deployment as quickly and efficiently as possible. The time that was required to do this is entered conveniently in the SCS app. With SCS planning Into the Networked Future.